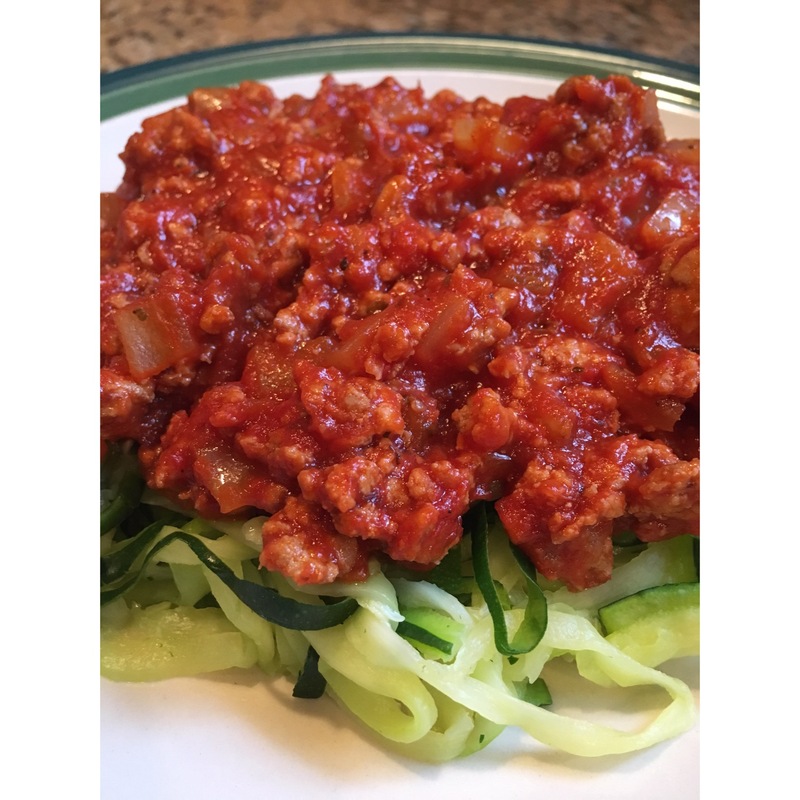 This is another winning recipe from the Fixate cookbook that is 21 Day Fix AND kid approved!! 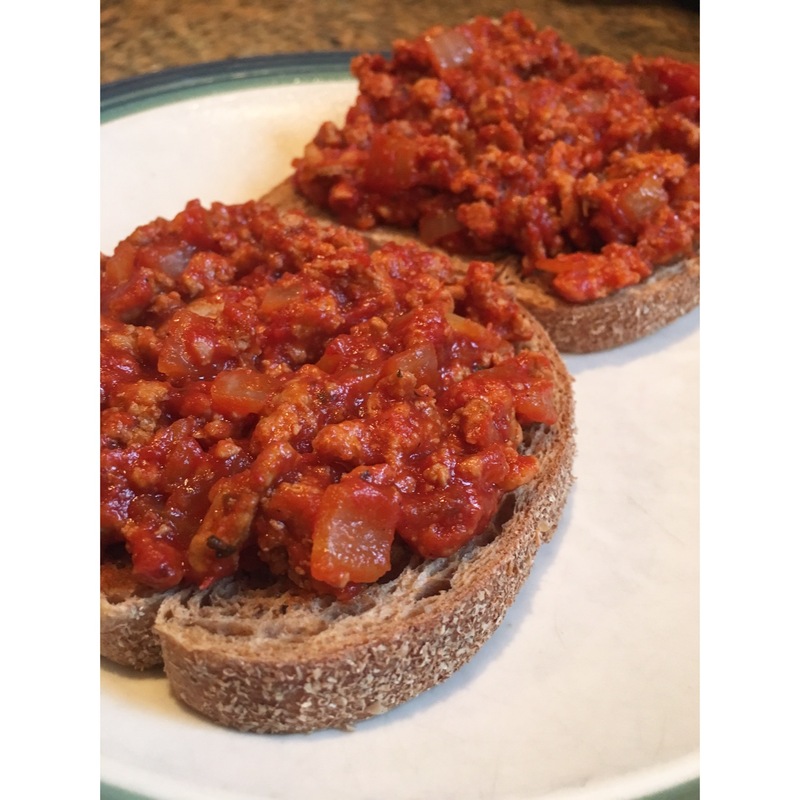 I served mine over zucchini noodles (Zoodles), my husband had it as an open faced sandwich on toasted whole wheat bread, and the kids ate it over whole wheat pasta. Next time I will be doubling the recipe so I will have leftovers for lunch! Heat oil in large skillet over medium heat. Add onion and bell pepper. Cook, stirring frequently, for 4 to 5 minutes or until onion is translucent. Add garlic; cook, stirring frequently for approx 1 minute. Transfer onion, pepper and garlic mixture to separate bowl and set aside. Add turkey to the same skillet and cook over medium heat, stirring frequently to break up the turkey (about 8-10 minutes), or until turkey is no longer pink. Season with salt and pepper. Add onion mixture, sauce, Worcestershire Sauce, tomato paste, pepper sauce, and maple syrup (or honey). Mix well. Reduce heat to medium-low and gently boil, stirring occasionally for 15-20 minutes (or until sauce has thickened). Sprinkle each serving with parsley before serving, if desired. 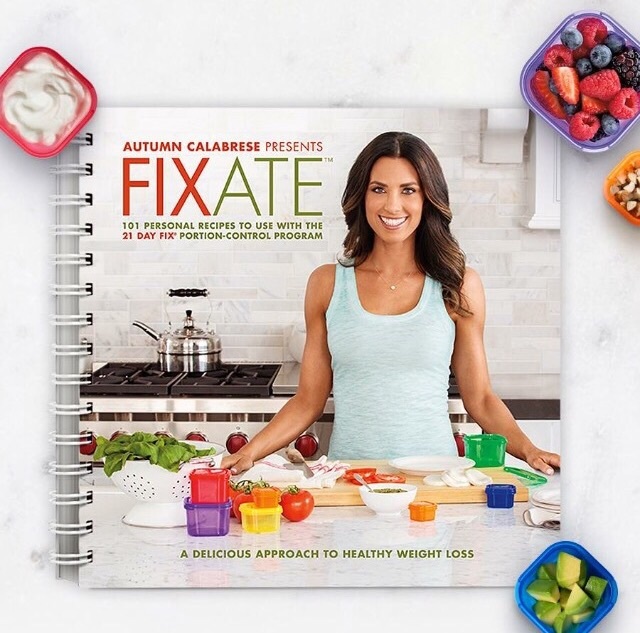 As I mentioned at the beginning of this post, the Fixate cookbook is written by Autumn Calabrese (the trainer who developed the 21 Day Fix and 21 Day Fix Extreme programs). I have been incorporating the 21 Day Fix Extreme eating plan and workouts into my daily routine and this cookbook has been a life saver! It contains 101 healthy recipes that are all designed to be used with the portion control containers from the program. Some of the recipes are also vegan, vegetarian, paleo, and gluten free. A little something for everyone! I have tried multiple recipes from this cookbook and they have all been delicious, easy to prepare and meals/snacks that the whole family enjoys! If you want to purchase the Fixate cookbook for yourself, you can use this link. I love this cookbook so much that I am doing a giveaway!! Everyone who joins my June fitness and nutrition challenge group will be entered in for a chance to win the Fixate cookbook. Fill out the contact form to get more information on my next group! Thanks for sharing! Do you know what containers are included in the recipe?